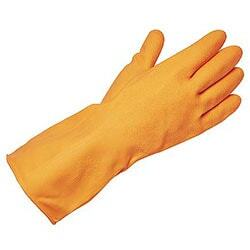 Water-based polyurethane palm dipped glove with nylon Lycra fibreglass and Dyneema. Unmatched dexterity and high cut protection while being extremely resistance to cuts and burrs. 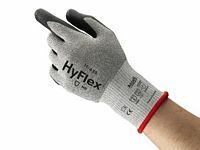 A seamless plaited glove for dexterity and flexibility. Premium deerskin grain leather. One piece back. Double shirred elastic wrist. Keystone thumb. 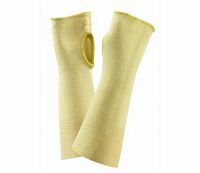 Provides forearm protection from minor heat and burn injuries. 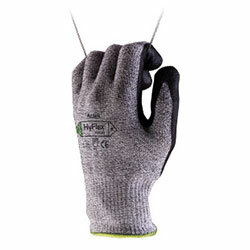 Made of 100 percent Kevlar string knit and is double-layered for extra cut resistance. Offers comfort and flexibility. 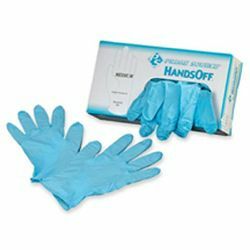 Powder-free nitrile gloves in a convenient dispenser box protect your hands fromfats solvents petroleum caustics acids and more. 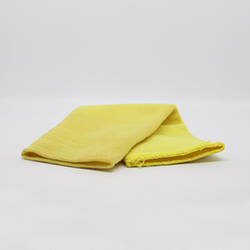 Durable material offers three times the strength and puncture-resistance of conventional disposable gloves. 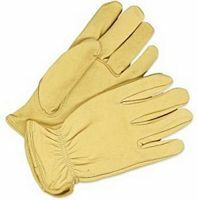 5 mil thick 9-1/2" long gloves have rolled cuffs for added comfort. Ambidextrous design provides a comfortable fit for either hand. 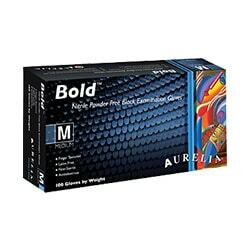 Aurelia Bold Black Nitrile (Non Latex) Powder Free Examination Gloves are made from 100 percent Nitrile (Non Latex) ambidextrous black color and non-sterile. Aurelia gloves conform and are tested to the highest international standards.